Looks like the next map has a lot of tome foes. That means we should be prioritizing skills that improve our Res. Heh, leave it to me! 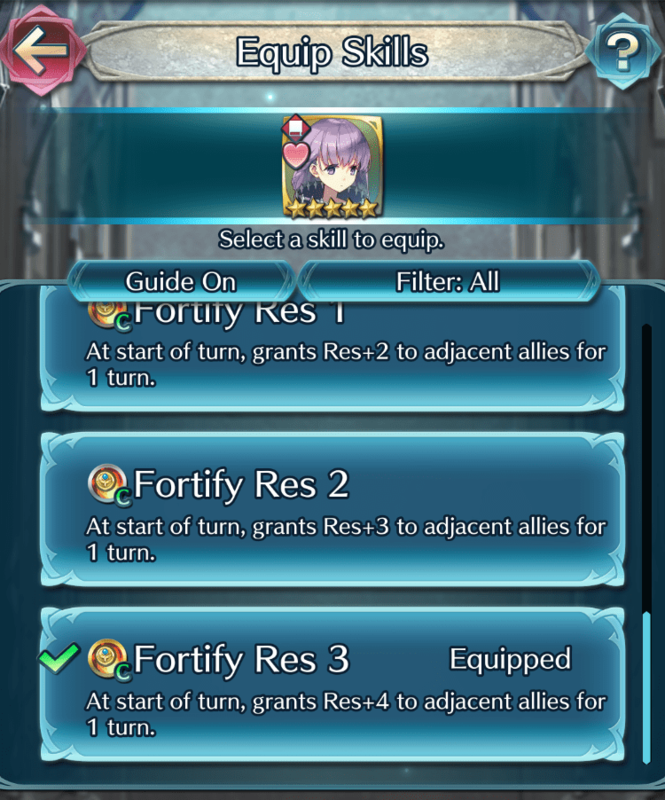 I just so happen to have Fortify Res equipped today! Good thinking! 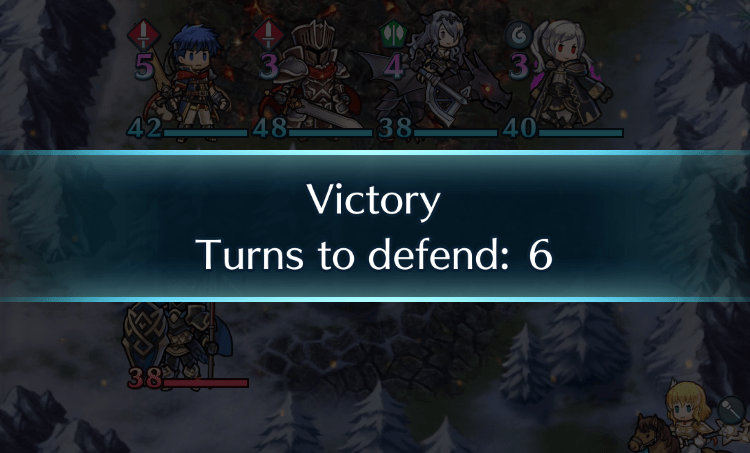 You’ve really learned a lot, Sharena. I’m impressed. We didn’t have any tome foes in the last map, but Fortify Res will definitely help us out in this one. When you’re fighting on difficult maps, it’s really important to equip different skills to adapt to the situation. I’m so glad you’ve taken my lessons to heart! Choose Based on Your Foes’ Team! Before each stage starts, you’ll have a chance to check the map and the composition of your foes’ team. When you’re attempting difficult stages, this is a good time to switch your skills around to build an effective skill set for the encounter. For example, if there are a lot of tome foes, you’ll want skills that improve Res, and if there are a lot of cavalry foes, you’ll want to equip weapon skills that are effective against cavalry. Choose Based on Victory Conditions! Sometimes, you’ll be required to defend against your foes for a certain number of turns to win. In this situation, consider switching in Renewal, which recovers HP after a certain number of turns, as well as specials that have an HP recovery effect, like Sol or Noontime. For Support Skills, consider Ardent Sacrifice or Reciprocal Aid to restore the HP of an ally of your choosing. Choose Based on Your Team! 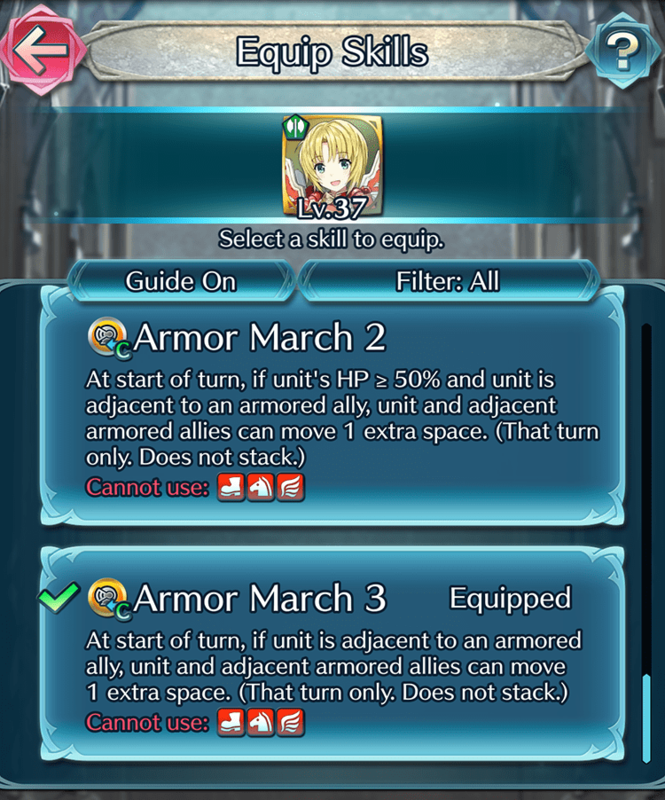 If your team has several armored allies, it’ll be extremely helpful to have Armor March to boost their mobility—but if it doesn’t, there’s no point equipping the skill. The same applies for skills like Hone Fliers or Goad Fliers, which only buff fliers. If you have skills that only apply to certain unit types, you should switch your skills around to match your team’s composition.